Water in an empty stomach in the morning daily can be immensely beneficial for the body. People tend to complicate things when it comes to taking care of their health. A few simple steps can go a long way in taking care of your health, and one easy way of ensuring it is by drinking sufficient water in empty stomach first thing in the morning. Not only does it clear your stomach, it goes a long way in reducing the risk of some diseases. It is also one of the secrets behind a glowing skin, as water removes the toxins from the blood. 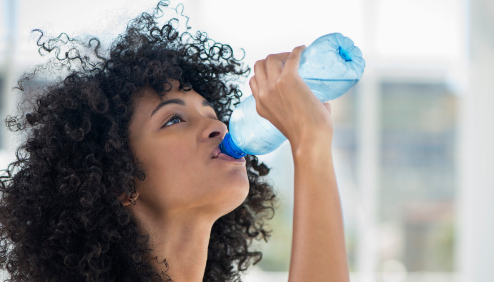 Drinking water also improves the creation of new blood cells as well as muscle cells, and helps you in losing weight. About four glasses of water (one litre) on an average daily would be great. If it feels too much in the beginning, you can start off slowly and then gradually increase the intake!